Waymo is the Google self-driving car project that's now a division of Google's parent Alphabet. It's seems to be leaving other autonomous car makers far behind. You might say, it's in the driver's seat - along with its combo of laser-radars, sensors and software. A ride-hailing program is expected to be launched later this year. 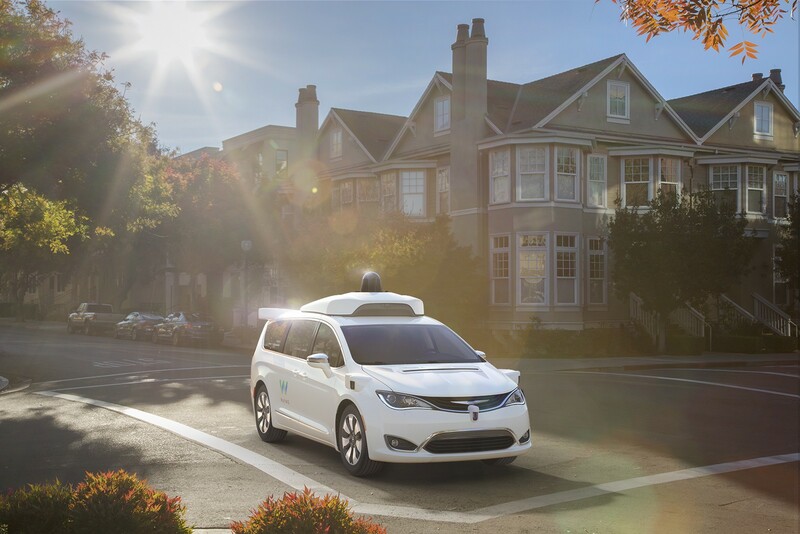 The Waymo vehicles have done 8 million miles in autonomous driving, including 25,000 miles a day on city streets. The vehicles have 360 degree sensors, radar and software that's designed to detect people, cyclists, vehicles, road work and obstructions up to 3 football fields away. The cars are taught on 8 million miles of real-world traffic and they're about to be commercialized. Waymo just cut a pilot project with Walmart. In the Phoenix area, you can place a Walmart order at a discount and pick it up and take it home in your Waymo driverless car. They have test programs underway with their vehicles in California, Arizona, Texas, Nevada, Michigan and Washington. They also have partnerships with AvisBudget and Autonation. Waymo is driving the first all-electric Jaguar I-PACE SUVs in the US. They're part of Waymo's test fleet. Waymo expects to add 20,000 I-PACE SUV's to its fleet. They'll be outfitted with the self-driving tech and launched in a ride-hailing service in 2020, joining other vehicles like the Chrysler Pacifica minivan. According to Waymo CEO John Krafcik, the company's driver - a combo of laser-radars, sensors and software - will autonomously operate a wide range of vehicles from over-the-road semi-trucks to all-electric luxury models. Their game plan is comprehensive: ride hailing, delivery & logistics, public transit connections and tech licensing for individual car sales of its fleet models.